Ebates pays you to shop online; Ibotta pays you to shop for groceries. Ebates is primarily used on a desktop, Ibotta on a smartphone. Both Ebates and Ibotta make earning extra money extremely simple. 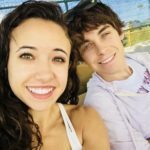 So if you want free gift cards to Amazon, Olive Garden, the movie theater, or maybe just want more money in the bank, you’ve found all the information you need to make it happen. And of course, you’ll know which app (Ebates vs. Ibotta) will work best for you. Ibotta vs Ebates: Which One Is Right For You? Ebates pays you to shop online. When you click ‘checkout’ on Amazon, money immediately gets deposited into your Ebates account. You’ll then receive a “Big Fat Check” in the mail (or in your PayPal account). You won’t even have to request the check—it’s automatic money sent to your mailbox every three months. When you buy something, Amazon gives Ebates money for sending you their way. Then—and this is the important part—Ebates shares some of that money with you. Ebates wants you to use Ebates (that’s how they make their money). Therefore, they’ve devised a way to make using Ebates mindless—they created the Ebates Button. …the Ebates Button will do a quick check of your cart for any money-earning opportunities. If you can earn money, the Ebates Button will say, ‘Wait! $3.75 will be deposited into your account if you click this button.’ Then you click the button, check out, and $3.75 goes into your Ebates account. This is automatic money. You don’t have to do or think about anything. And after 3 months, you’ll automatically receive a Big Fat Check in the mail (or in your PayPal account). Is Ebates Right For Me? Do you shop online? Then yes—get your share of this automatic money! Create an Ebates account, download the free Ebates Button, and start earning money every time you shop online. What’s more! Sign up here, and you’ll receive an exclusive $10 bonus just for trying Ebates. 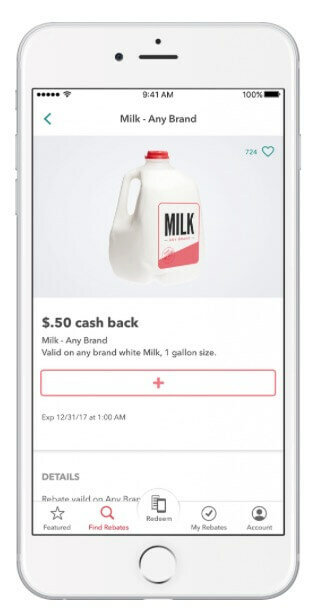 Ibotta pays you to shop for groceries. …then go grocery shopping (don’t forget to keep your receipt). Once you’re home, open the Ibotta app, and use its built in camera function to take a picture of your receipt. 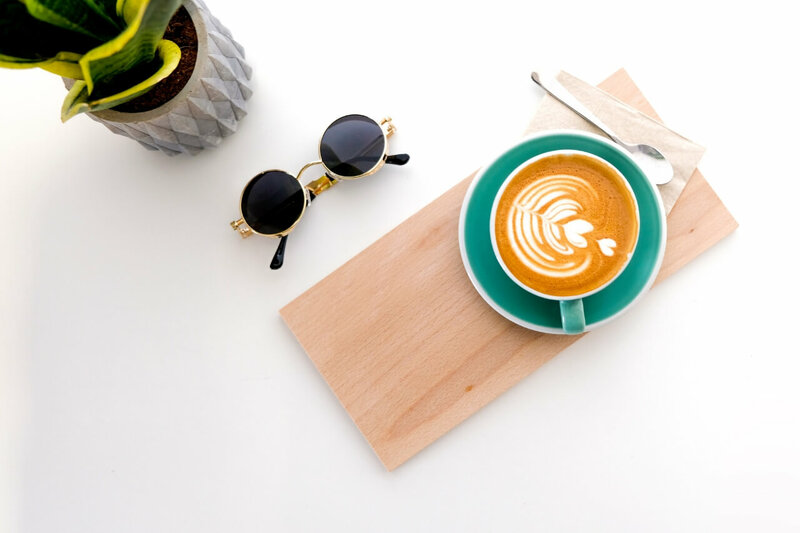 Less than two seconds later, money is immediately deposited into your Ibotta account: Ibotta paid you for buying the foods you had previously selected in the app. Whole Foods thanks Ibotta by sending them a little cash, and Ibotta shares a portion of that money with you (i.e. you get paid to buy bananas). Then, once you get home, take a quick picture of your grocery receipt… and that’s it. You’ll get money back on all the items you had previously selected. 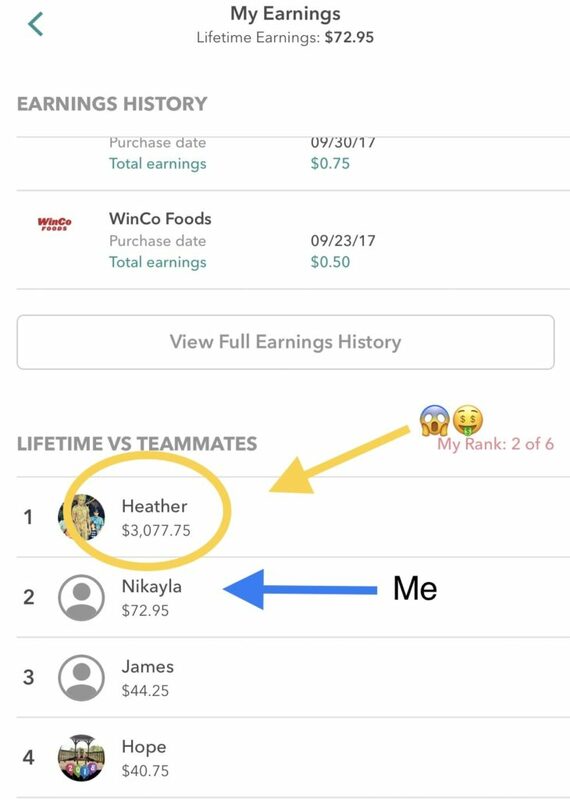 It’s a simple way to make money every time you go grocery shopping. But here’s the best part: Your Ibotta money can be redeemed for free gift cards (instead of cash like Ebates). 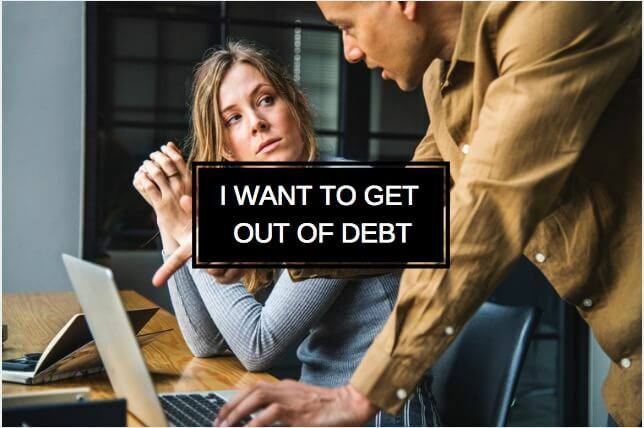 Cash is great and all, but you can’t help the feeling that you need to be responsible with it: bills, debts, ya’know adulting stuff. But a free gift card to places like Starbucks or GameStop or Amazon or Olive Garden—that’s money you can spend guilt free. Is Ibotta Right For Me? Are free gift cards right for you? 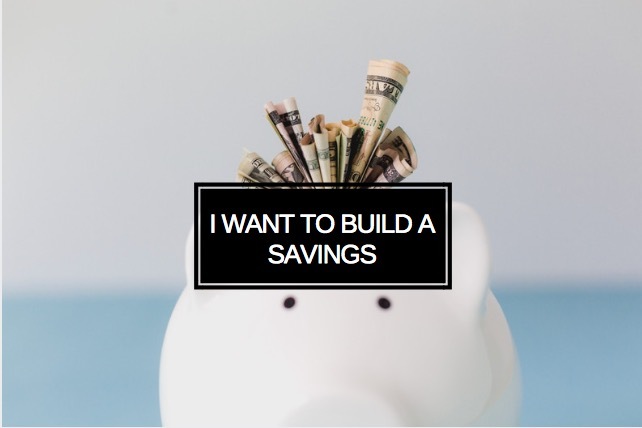 Ibotta takes minimal effort, and over time, you will accumulate some serious cash! Try Ibotta (you’ll get a free $10 just for signing up with this link), and find out for yourself how easy it is to make free money. Ebates vs Ibotta: Which App Do I Get? Plus, if you download Ibotta with this link, you will get a free $10 gift card just for trying the app. As for Ebates, it’s an invaluable online shopping partner (even if you’re just a casual online shopper) because you earn automatic money. You don’t have to remember to do anything: the Ebates Button reminds you to use Ebates; all the money you earn is sent to your mailbox without even having to request it. Create a free Ebates account (download the Ebates button!) and watch as free money start showing up to your door every three months. 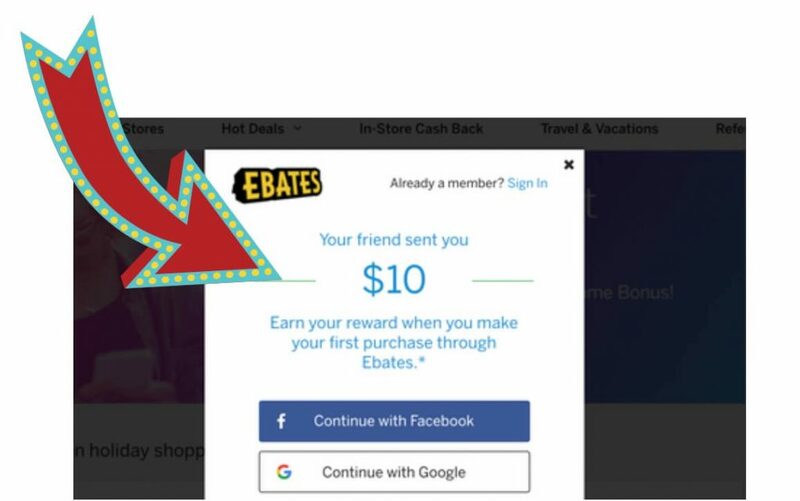 Not to mention, when you sign up for Ebates using this link, you will receive a free $10 just for and trying out Ebates. 1. Can I use Ebates and Ibotta together? Yes. In fact, you want to use both together. Ebates and Ibotta offer two different sources of income: Ebates earns you money for shopping online, Ibotta for grocery shopping. 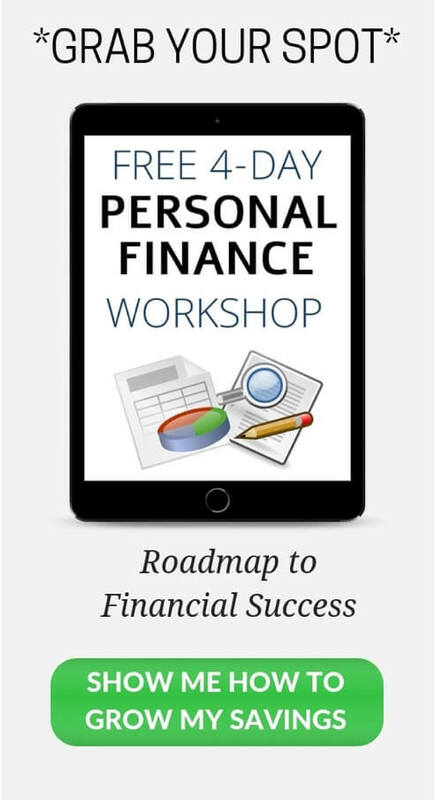 Get both and maximize your access to free money. 2. Is Ibotta and Ebates safe? Absolutely. 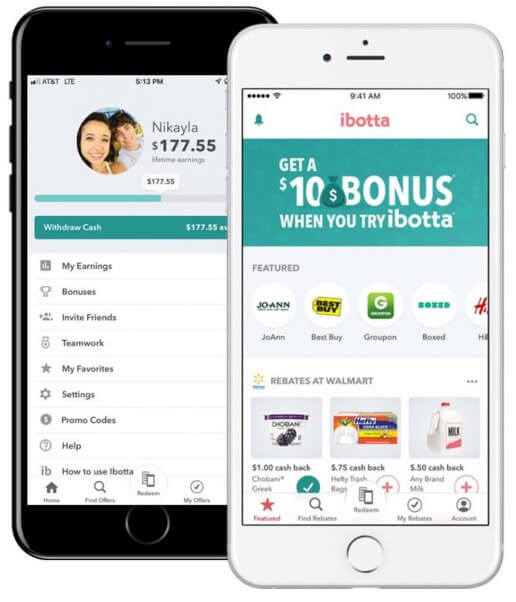 Ibotta has 22 million downloads, is currently the most frequently used shopping app in the United States, and its users have earned over $500 Million in Cash Back. 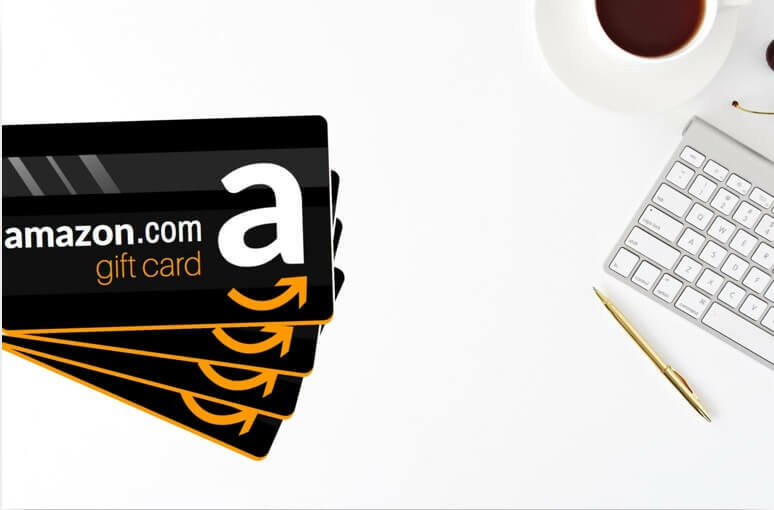 Ebates is the largest free-membership program in the United States, received an A+ rating from the Better Business Bureau, and its members have earned over $1 Billion in Cash Back at their favorite stores. 3. 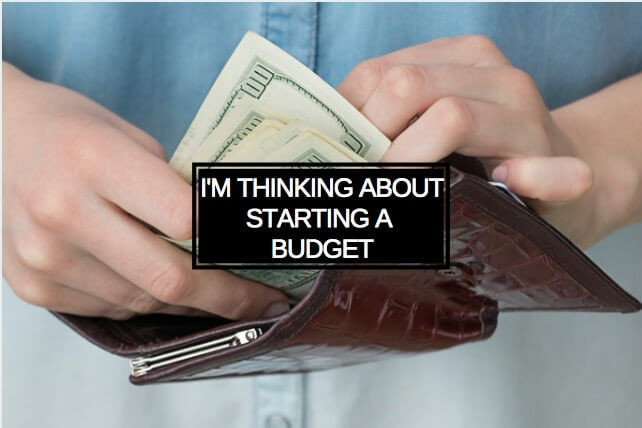 Do you have to buy stuff you wouldn’t normally buy to get paid from Ibotta or Ebates? Nope, just buy what you normally buy. 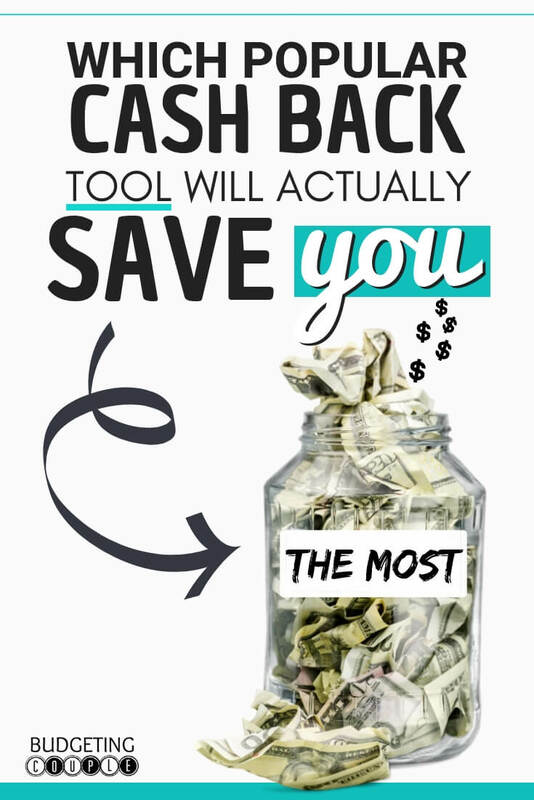 Ebates and Ibotta will find a way to give you Cash Back. 4. Are there other ways to earn money from Ebates and Ibotta? Yes! 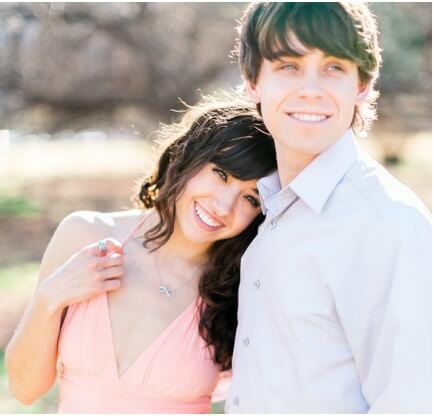 Ibotta has team challenges, bonuses, and ways to earn money outside the grocery store. Here’s a full list of all our Ibotta Tips and Tricks. With Ebates, you can link your credit or debit card to the app and earn Cash Back in select stores. 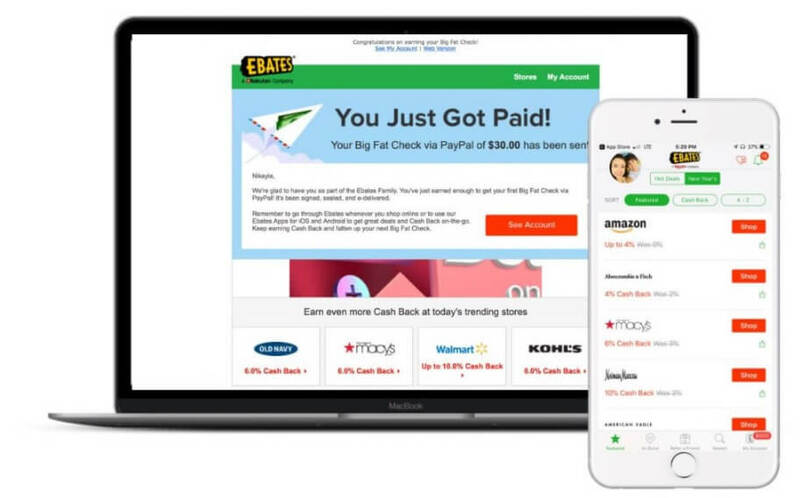 Read more about making more money with Ebates in our full Ebates Review. 5. Are Ebates and Ibotta free to sign up? Nope, Ebates and Ibotta pay you to sign up for their free services. 6. 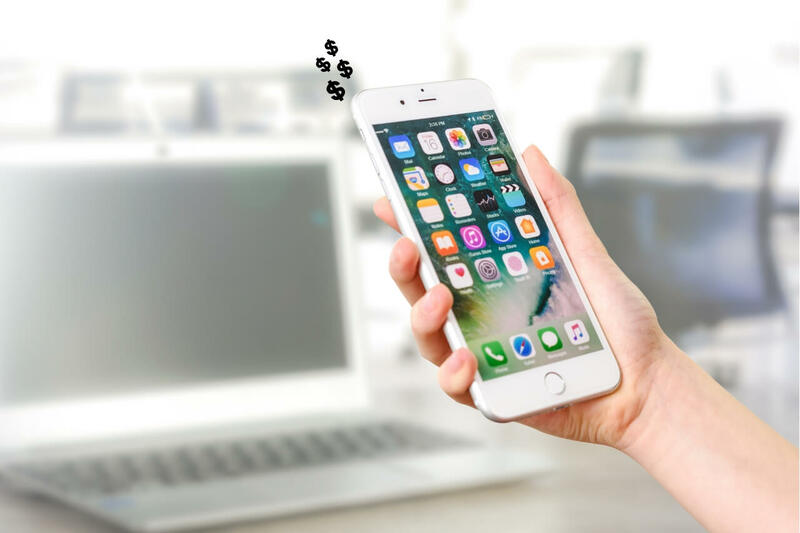 Are there other ways to make money with your smart phone? Yes, a ton! But be wary, most of them aren’t worth your time! We’ve compiled a list of the best apps that pay you money. 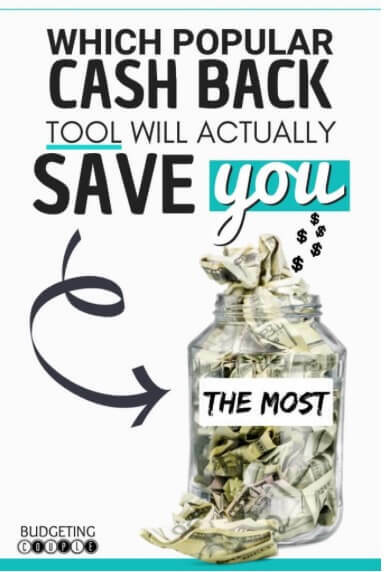 Be sure to follow us on Pinterest for more money saving tool reviews!